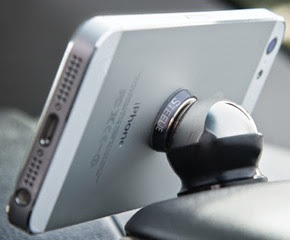 The Steelie car mount kit by Niteize is the perfect phone holder for your car. It docks your phone to your dashboard in a snap, so it's visible, accessible, and right where you need it, everywhere you go. All for less than 35$.